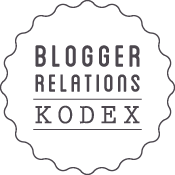 [:en]Hello my fellow blogging lovers! So..I talked about my ring in my last post…and just thought about sharing it with you guys! It had to be sized, because it was a tad to small (I think you can kinda see it). These pictures were taken on Christmas Day, the day my parents gave it to me! When I saw this ring it was kind of the moment when it hit me: I needed to stop caring about people who don’t care about me, people who have used me, treated me badly even after I was their friend. I try to get revenge..I sit at home and think about plotting…but in the end of the day, I’m to darn nice to do anything (wait..I guess that’s a good thing?). Anyways…I told my Mom about the ring..I don’t remember when..I know it was somewhere in September. She only knew the store where I had seen it, and asked me why I wouldn’t go there and see if they still had it.. I just said “It’s been over two months..they probably sold it already!”. On Christmas Eve (we open our presents after Midnight, so technically it’s Christmas Day..Night..very early morning?) when we came back from my aunts house (where the family meets to swap presents) I was feeling very low and depressed and just wanted to go to bed. But I put on a brave face because I wanted to give my parents their presents. When my Mom gives me a small box from the Jewelry Shop where I had seen this ring, I didn’t even think on it! I thought it would be a pair of earrings or something… When I opened the box and in there I saw this ring, I felt such joy inside! Not because of the ring itself, but because after so many months my Mom STILL remembered a conversation we had had after dinner on a random night! And it made it even more special! The two hearts symbolize Me and those important to me! I see it as kind of a “bubble” where only the most important people in my life have a place. But it’s a “bubble” that is infinitive…it can grow and grow and grow and I hope I can fill them with many more people than I already have!!! I hope you liked the ring! I’m sorry for the loooooooooooong and rambly post!! Thank you all for reading (or just looking at the pretty pictures)! Hugs and Kissed for all! [:de]Hello my fellow blogging lovers! Previous Post Watermelon on my nails!